The Lal Suhanra National Park is located near the city of Bahawalpur and offers a chance to see some amazing wildlife, up close. 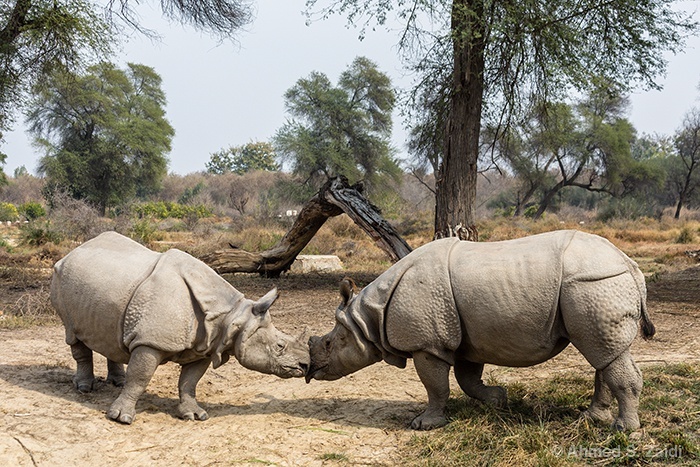 The park is home to a pair of Indian rhinoceros (greater one-horned rhinoceros) that were given by Nepal in 1983. The couple has yet to produce an offspring. 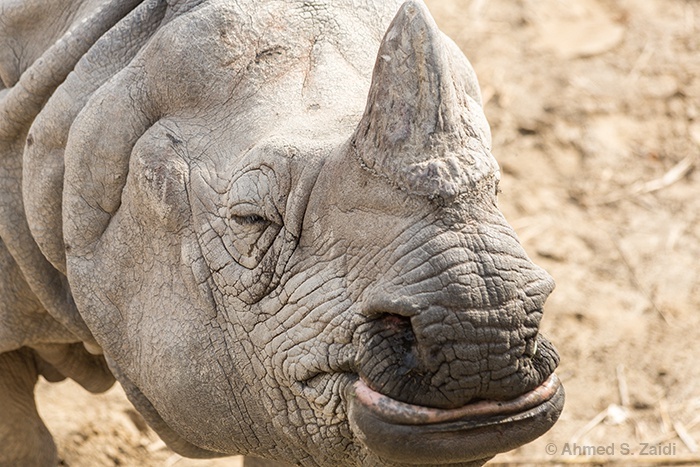 The Indian rhinoceros differs in many ways from other major rhino species, such as the Black rhino or the more common White rhino. For one, while most other species are two-horned, it has a single horn. Also, its skin folds down into an armor-like cover with distinct bumps across the legs and shoulders. Seeing the rhino up close was quite an experience. Its characteristic horn, ears and thick hide made me think of a triceratops and what it must have looked like all those millions of years ago. 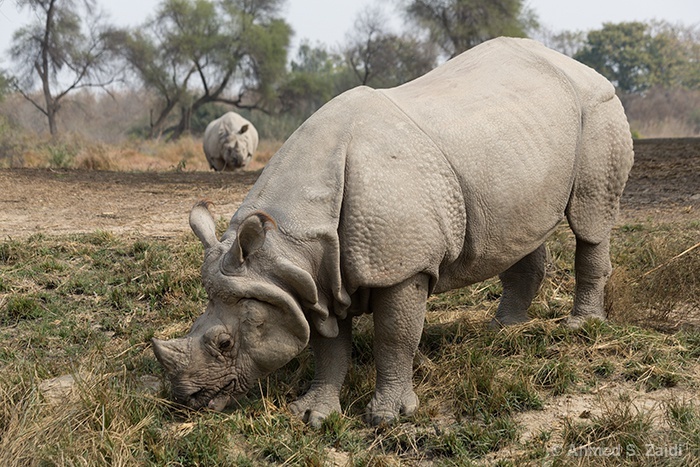 The Indian rhino is a vulnerable species. Once spread across south asia, it is now found in small pockets and in captivity. We have already lost the West African Black Rhino which was declared extinct in 2011. I hope conservation efforts pay off and we manage to preserve remaining species such as this.